There are 2 pieces of 1GB RAM in this kit. In Stock: Guaranteed to ship tomorrow, Wednesday, April 24. How Memory Much Do I Need? Your Compaq HP Presario SR1030Z only supports modules made with a specific type of chip. Should you find what seems to be the exact same memory elsewhere for a lower price, it is very possible that the cheaper memory will not work in your system. By using the 4 All Memory "Memory Finder" your selected memory modules are Guaranteed To Work or your money back! 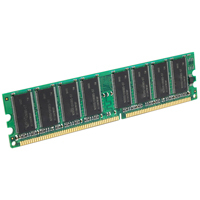 All of our memory modules are quality tested and guaranteed with a lifetime warranty so that you can feel safe and secure ordering RAM from 4 All Memory.